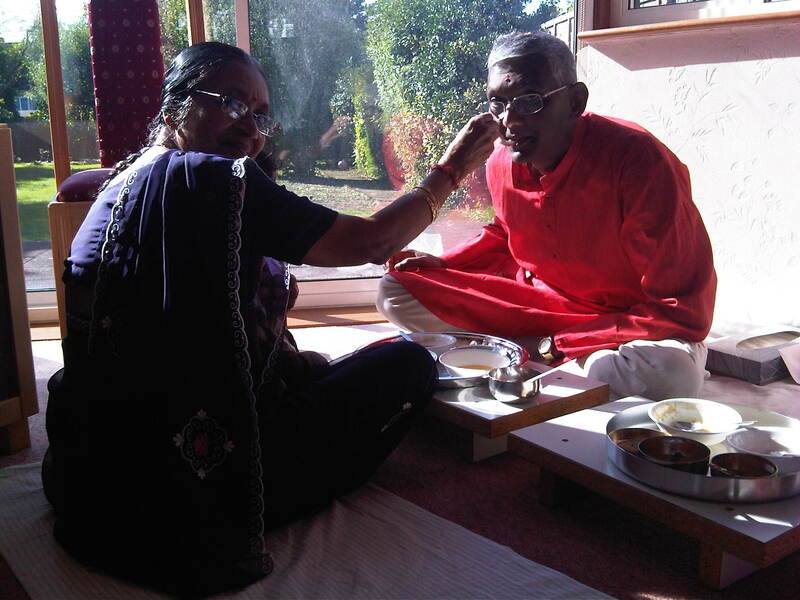 My mother-in-law, who herself had done four fasts, spoon-feeding me with joy and pride. Food prepared for the guests coming to the Parna ceremony. Yes, I had accomplished my goal - but so many had helped me along the way, from my family to my friends and relatives and members of the community. It opened with a lovely blue sky and a September warmth which was really inspiring and uplifting. I was not hungry, just excited. I was allowed to do my first proper tooth-brushing after eight days of a smelly mouth, and that was so refreshing. We are not allowed to do this during the fast to retain its purity. I dressed for the party - guests were arriving at 9am, and my mother and wife had woken up at 5am to prepare food for me and the visitors. I had a tray of liquids - with five banquet items - fresh orange juice, grape juice, peppermint ganthoras, gum-arabic syrup, boiled mung bean water. Different tastes and different nourishment. I could only take a spoon at a time. Everyone arrived at 9am and then my father recited a long prayer to bring auspicious blessings - the navsmaran. It lasted for about 30 mins, and one of the youngest guests, Veer, who was 8 yrs old, sat quietly without moving throughout. It must have been the atmosphere and spirit which captured him, as by nature, he likes to move about. After the prayers, the guests started spoon-feeding us. My brother-in-law Jitesh, had completed 6 upvasas, so he sat next to me. 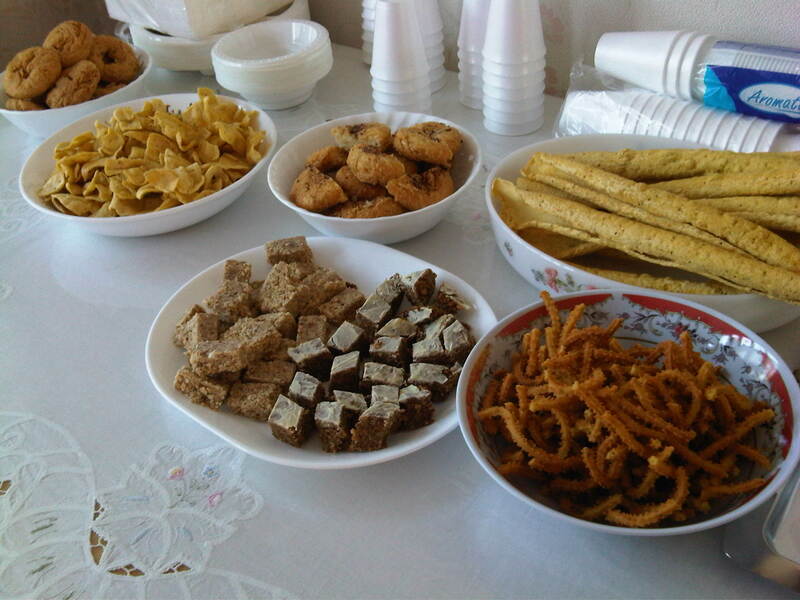 It is believed that for the guests, by feeding us, they get the same merit as if they had done the fast themselves. And then there was breakfast for everyone - the food is shown above, and dont worry, it wasn't for me! This was a lovely sharing experience, and brought everyone together. DAY 8 - FORGIVENESS - The grand finale of Paryushan.